The 12x18" size is perfectly suited for boats, as these sturdy flags are great for marine use as "courtesy" flags. They also work well on RV's, backs of motorcycles, etc. (Consequently, they do not come with little sticks as our Light-weight flags do.) Made with pride in the United States from lustrous SolarMax®, Nyl-Glo® or comparable quality material, these heavy-duty flags also make handsome wall decorations. And although smaller than our larger sizes, they can also stand the test of time and weather. Kindly note that some of these flags are marked as "Civil (no seal)". This is normally for nautical flag protocol, where flying the government seal is not appropriate. 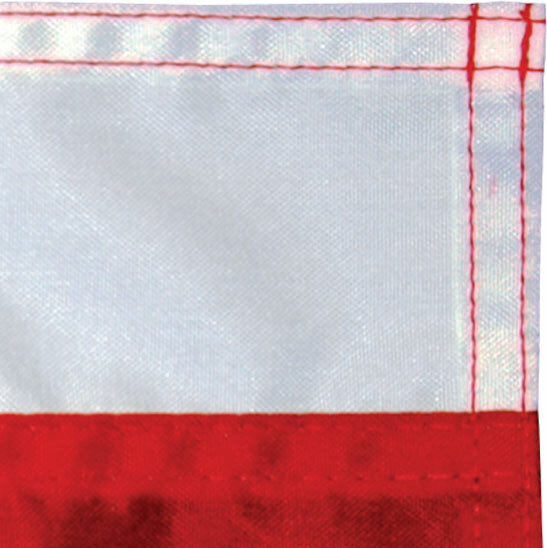 The "fly edge" of these 12"x18" Nylon flags (that's the end that flaps in the wind) has two rows of stitching onto a ⅜" double fold; back tacked ½" on the corners. The header of the "hoisting edge" (that's the end that's attached to the pole) is made with a heavy-duty bright white cotton polyester blend army duck cloth. 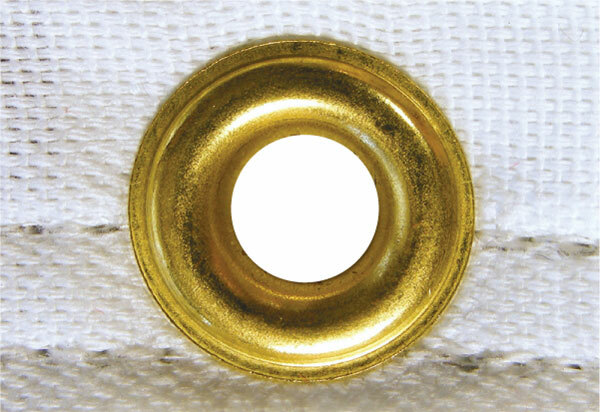 Two #1 flat rimmed grommets of solid brass make for secure fastening of the flag.